To make public transit work for the differently abled, Google on Friday introduced "wheelchair accessible" routes in Maps at major metropolitan transit centres around the world. The feature is rolling out in London, New York, Tokyo, Mexico City, Boston and Sydney. In city centres, buses and trains, often the best way to get around presents a challenge for people who use wheelchairs or with other mobility needs. "We're looking forward to working with additional transit agencies in the coming months to bring more wheelchair accessible routes to Google Maps," Rio Akasaka, Product Manager, Google Maps, said in a blog post on Friday. To access the "wheelchair accessible" routes, type your desired destination into Google Maps. Tap "Directions" then select the public transportation icon. Then tap "Options" and under the Routes section, the users will find "wheelchair accessible" as a new route type. 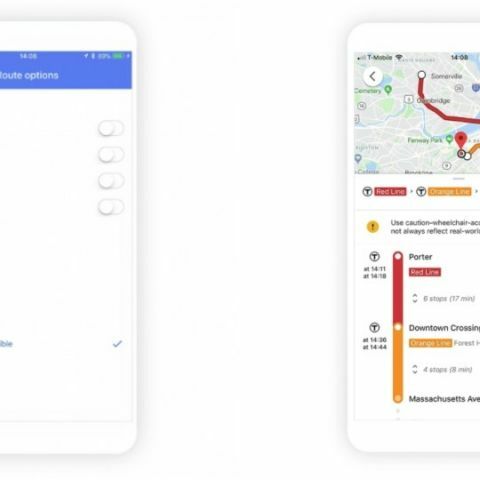 "When you select this option, Google Maps will show you a list of possible routes that take mobility needs into consideration," the blog post said. "Additionally, we've been busy capturing and updating Street View imagery of transit stations and city centres so people can preview a place or transit station ahead of time," it added. In 2017, Google Maps added the feature to see if a space is accessible by wheelchair under the "amenities" tab.